Born in Brazil, Julia is still looking for a place to call ‘her spot’ in the world, while being very comfortable with the search process. She first approached Amani Institute for a job but then decided to enroll as a Fellow instead, where she excelled and was quickly offered to come on board the team to help launch our Brazil program. From a very young age, Julia has always been involved in social change, education, and peace building organizations. 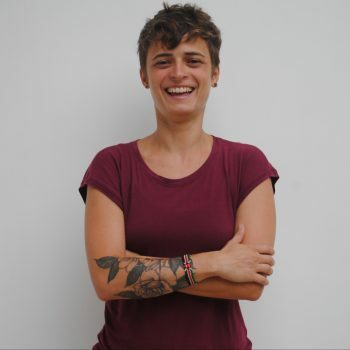 At Catholic University of Minas Gerais, she studied Social Communication because she believes in the power of well-crafted communications to move people towards harmony. She is passionate about inspiring people to contribute towards a better world and likes nothing better than giving tools and direction for people who want to make a change – people like the Amani Fellows. Julia is a traveller, loves diversity and working with people from different cultures. She finds nature to be her place of peace, and working out is must in her life.